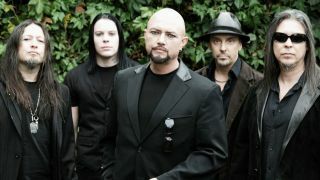 The two Queensryche factions have finally reached a legal settlement over ownership of the band name following the sacking of Geoff Tate in 2012. Relationships had broken down between the singer and bandmates Eddie Jackson, Scott Rockenfield and Michael Wilton, leading to a violent confrontation which saw Tate’s dismissal, and his replacement by Todd La Torre. The argument went to court, with both parties given the entitlement to use the Queensryche title until a later ruling, or a settlement was reached. That’s happened just ahead of a return to the courtroom. Jackson, Rockenfield and Wilton will continue under the band name while Tate will be compensated for his share of ownership, and leaves with the rights to perform an Operation Mindcrime live show, based on the band’s 1988 concept album and its 2006 second volume. In a join statement the parties say: “An amicable settlement has been reached. According to the agreement, original members Eddie Jackson, Scott Rockenfield and Michael Wilton along with recent members Todd La Torre and Parker Lundgren, will noes be the sole entity recording and touring as Queensryche, performing selections from their entire musical catalogue that spans over 30 years of material. “Original Queensryche lead singer Geoff Tate will continue to record, perform and pursue a variety of other creative endeavours. As part of the agreement he will have the exclusive rights to perform Operation Mindcrime I and II in their entirety as a unique performance. Tate’s version of Queensryche launched an album called Frequency Unknown in April last year, while the other original members’ lineup launched a self-titled record two months later.